Responsive WordPress website designs are an affordable, versatile solution for small businesses seeking a new or updated website they can update themselves. Those who already have a WordPress website know that WordPress works great on many levels. The biggest concern with choosing a WordPress website and managing it yourself is that the regular WordPress website maintenance is often neglected. WordPress software is updated by WordPress programmers regularly. As any software, some updates are minor and you may not detect a difference on your site. Other updates are more robust. Some WordPress website updates offer new web functionality or a couple just-for-fun features, like falling snow in Winter. You can choose to implement all the new features or just a few. What is most important in each WordPress update is the added security. Security updates protect from hackers and malware that can take down your website or infect others systems. WordPress is the top content management website platform across the world. It offers great benefits, especially to small businesses. For all of the benefits to choosing WordPress there is a drawback. Hackers love to target it. (Then again it’s not just WordPress that has this concern. Hackers target Joomla websites, Blogger websites and custom built content management systems also…) To avoid issues, Wordpress website maintenance is a critical practice to keeping your WordPress website or WordPress blog in optimal working order. WordPress programmers are proactive in protecting customers against these attacks. New walls of code are built to keep predators out when vulnerabilities are detected. Once the code is developed a free update is available to all WordPress users. When a new WordPress update is available, there is an alert posted clearly at the top of the administrative area at log in. The date when it was first available is noted as well. When should the WordPress software be updated? We will often wait a day or so after a new WordPress version is posted before we select to update. This is because many of the responsive WordPress websites we design include 3rd party plug-ins. Wordpress plug-in developers may need a little extra time to unsure their plug-in code is compatible with the latest WordPress version. If the plug-ins haven’t updated yet some may not function correctly. Within a few days most plug-ins have caught up. At that point we’ll update to the latest WordPress and plug-in versions. If plug-ins are not updated within a few days of the release of a new WordPress version, install the update but check your website very closely and make sure all plug-ins are working correctly. Caution: plug-ins are also susceptible to hackers. New versions are made available and alerts are posted in the administrative area of the WordPress websites for plug-ins also. Plug-in developers may offer a new version with increased features and functionality in addition to added security protection. We recommend updating plug-ins one at a time. After you update each one, check your website to make sure the update is compatible and all functionality is in place. If you choose to update your plug-ins all at once and there is a conflict, it can be difficult to pinpoint which plug-in is causing the conflict. What happens if I don’t update WordPress regularly? What do you do if your website was hacked? You send a frantic call to your website hosting service or website design firm that your website was hacked, it’s not live and clients can’t reach you and… worst… you don’t have a current back up. Your website will need to be taken down. Once removed from viewers, a temporary screen is posted, and clean-up begins. What does it cost to fix a website that has been hacked? This whole procedure can take days or even months to resolve, it depends on how quickly you are alerted of your compromised site and the size of your website. What is the best way to help keep websites safe from hackers? By practicing regular WordPress website maintenance. Log in to the administrative area of your WordPress website frequently and make sure everything is up to date. Consider changing your admin password regularly also. 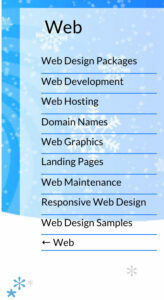 Do not assume your web hosting company or your website design firm is maintaining your website. Web maintenance is usually an additional feature because of the time commitment. 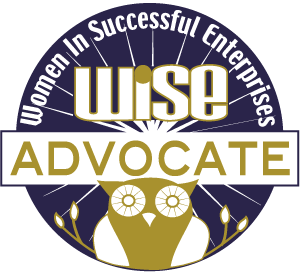 Look at your plan or agreement, or send your web hosting or design firm an email of phone call to be sure. We understand staying current with WordPress and 3rd Party plug-in versions can eat up a lot of time. We also feel horrible getting the call “My website’s been hacked, what do I do?” from a small business. Before that happens, set a weekly or monthly timer to log in to your admin panel and keep your software updated. If you don’t have time or the due diligence to do this, you’ll want to look into website maintenance options for small businesses.. Our basic web maintenance package is a perfect entry point for most small business WordPress websites. 1/2 hour of styling and updates. Knowing your site is protected from potential hackers and will not be a concern to visitors or scare clients and prospects away from working with you is the best return. 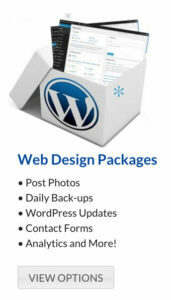 Call us today to discuss which package is best suited to you or sign up for a website maintenance package..